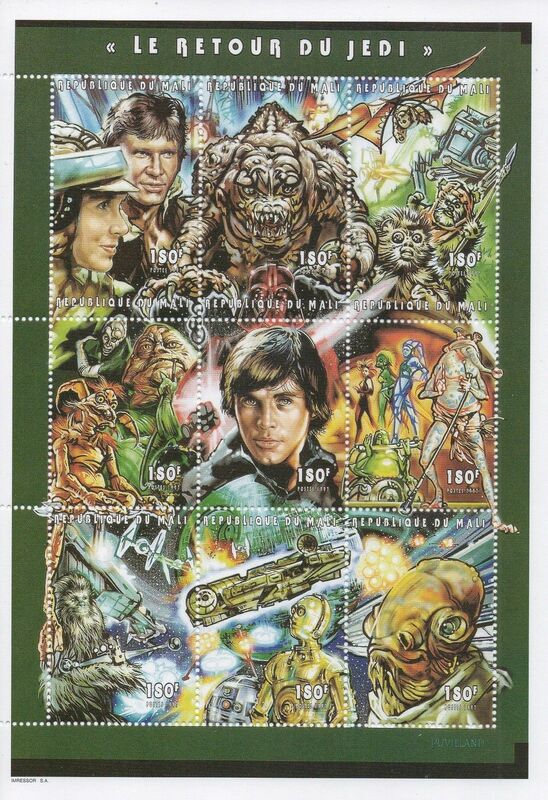 I just bought these two sheets of postage stamps from pdcollectables for a very reasonable £3.99. 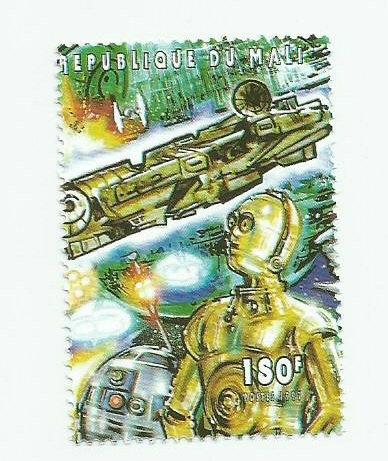 They are from Mali and were issued in 1997. Both are from Return of the Jedi and i think they’re pretty cool. The Falcon’s a little difficult to make out, but it is there. The second sheet is much better. 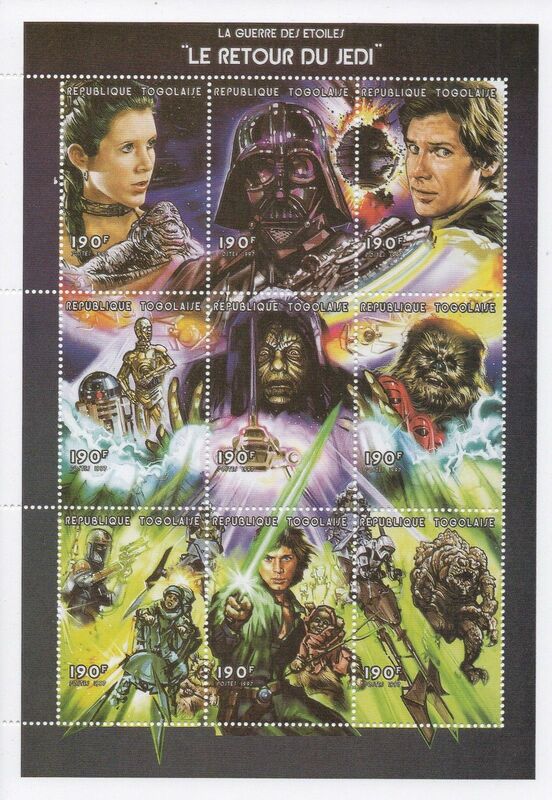 Here’s the Falcon stamp on it’s own. This entry was posted in Uncategorized and tagged Millenium Falcon, Millennium Falcon, Return of the Jedi, Star Wars. Bookmark the permalink.